Home » LibraryReads » THOSE GIRLS hits the July 2015 LibraryReads List! THOSE GIRLS hits the July 2015 LibraryReads List! 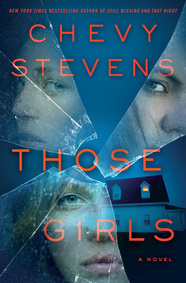 FANTASTIC NEWS: THOSE GIRLS by Chevy Stevens is the #6 pick on the July 2015 LibraryReads list! See the complete July 2015 list at LibraryReads.org.